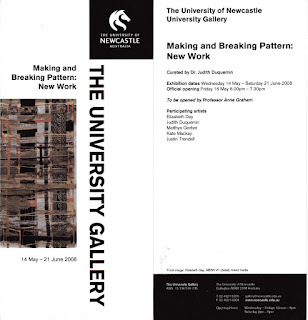 'Making and Breaking Pattern: New Work' was the third incarnation of the exhibitions curated by Judith Duquemin that had occurred at Tin Sheds in 2006 and Carnegie Gallery in 2007. 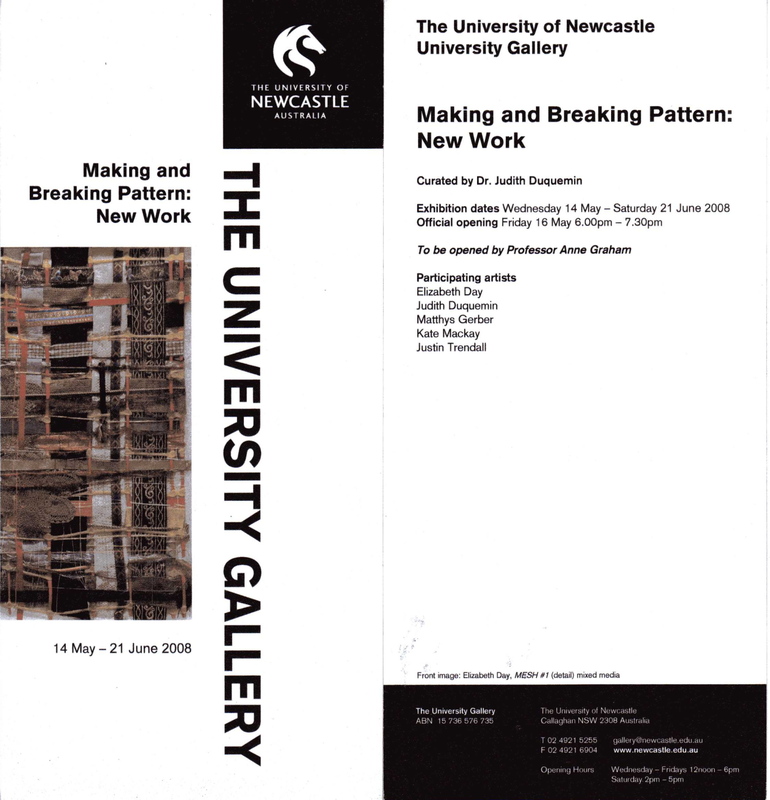 This show included work by Elizabeth Day, Judith Duquemin, Matthys Gerber, Justin Trendall and myself. 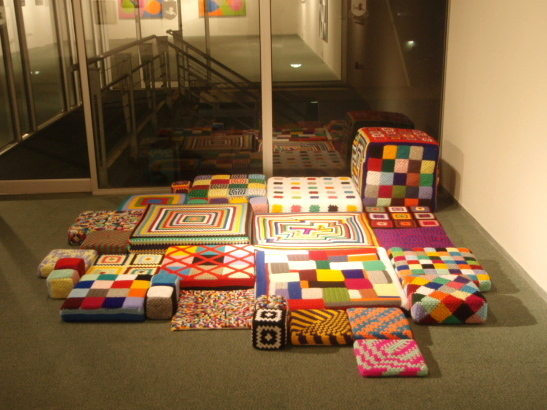 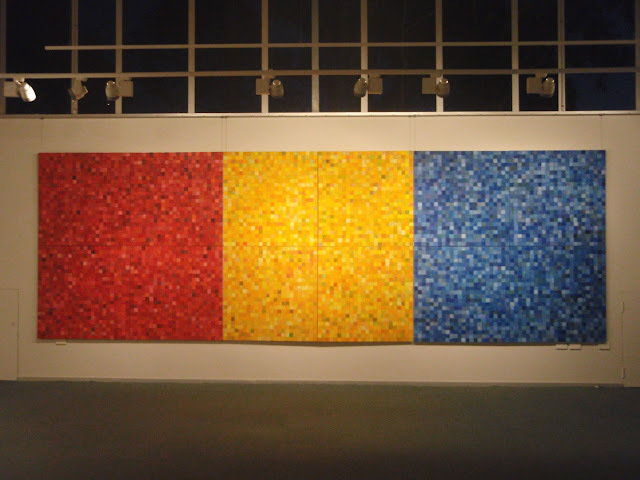 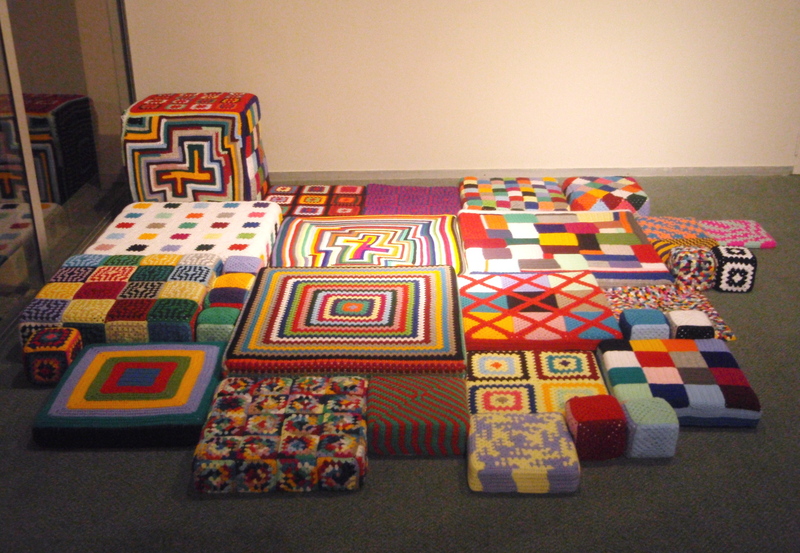 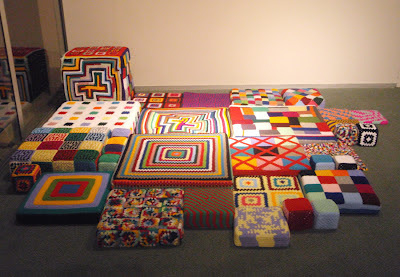 This time I exhibited the whole 12 'Square Paintings' as one block, as well as a re-arrangement of the crocheted panels as a floor piece.